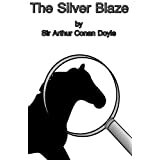 About the Book: "Silver Blaze", one of the 56 Sherlock Holmes short stories written by British author Sir Arthur Conan Doyle, is one of 12 in the cycle collected as The Memoirs of Sherlock Holmes. 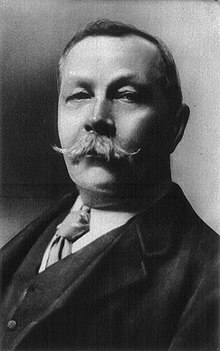 Doyle ranked "Silver Blaze" 13th in a list of his 19 favourite Sherlock Holmes stories. 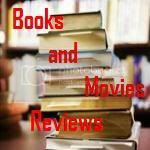 My Review: In my opinion, one of the best short stories featuring Sherlock Holmes. The plot is simple, yet superb: Sherlock Holmes and his friend Dr. Watson travel by train to Dartmoor, summoned to investigate a crime that has convulsed the newspapers: the disappearance of the great race horse Silver Blaze and the murder of the horse's trainer, John Straker. Inspector Gregory has already arrested a man in connection with John Straker's murder by the time Holmes and Watson arrive at King's Pyland, the Dartmoor stable owned by Colonel Ross, from which Silver Blaze is missing. The suspect is Fitzroy Simpson, a London bookmaker who has come to Dartmoor (and specifically to King's Pyland) to gather information relating to his professional activities (which include wagers placed on favourites for the Wessex Cup, the race in which Silver Blaze is to run). However, to Holmes, from the outset, there seem to be a number of facts that do not fit the inspector's case against Simpson, damning as it looks. It seems odd, for instance, that he would lead the horse out on to the moor simply to injure or kill him. That could be done right in his stall. He could not have stolen the animal. What good would such a famous thoroughbred be to him? Why has an exhaustive search of the neighbourhood not turned up Silver Blaze? What has Simpson done with him? John Straker, Silver Blaze's late trainer, has been killed by a blow to the skull, presumably administered by Simpson with his "Penang lawyer", a clublike walking stick. Simpson's cravat is also found in Straker's hand, and the latter's coat is found draped over a furze bush. A knife is found at the crime scene—a peculiarly delicate-looking one, with a small blade. Dr. Watson, from his medical experience, identifies it as a cataract knife (used for the most delicate surgery). It is marked Weiss & Co., London. Useful as it is for that purpose, it would be unsuitable as a weapon; in addition, Straker also seems to have stabbed himself in the hip with it. Colonel Ross's main concern, of course, is getting his horse back safely. Holmes chooses not to tell Ross where his horse has been (although he has known all along) until after the Wessex Cup, which is won by Silver Blaze. At first the Colonel does not recognize his own horse, since the animal's distinguishing white markings have been covered with dye. The horse had been looked after by one of the Colonel's neighbours, Silas Brown, who had found him wandering the moor and hidden him in his barn. Holmes then explains the details of the case step-by-step to the satisfaction of the Colonel, Watson, and Inspector Gregory. I recommend this book to the permanent library of any reader who appreciates a well written mystery.